The Boulder Junction Community Foundation consists of the following board members. Click on a name to read their biographies. John Altschwager and his wife Sue own and manage White Birch Village Resort. They have 3 grown children and recently welcomed their first grandchild. John is a Wisconsin native with a bachelor’s degree in Hospitality Management from the University of Wisconsin Stout. He was employed with the Radisson Hotel Corporation in Chicago, IL, Scottsdale, AZ, Minneapolis, MN and La Crosse, WI. He left the hotel business to manage private country clubs in Rockford, IL (3 years) and Madison, WI (18 years). Achieved Certified Club Manager (CCM) and National Honor Society of the Club Managers Association of America. He is a past president of CMAA Wisconsin Chapter and served on the National CMAA Education Committee. 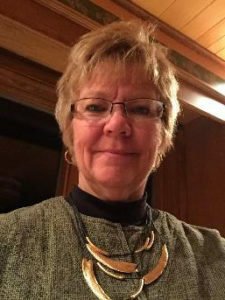 Current board member of the Boulder Junction Chamber of Commerce, served on Finance, Stewardship and Staff Relations committees for United Methodist Church of the Pines in Minocqua, WI. John loves all outdoor activities, especially hunting and fishing. John is proud and thankful to participate on the Boulder Junction Community Foundation board and looks forward to continuing the hard work for the foundation. By the time they had been married a year and graduated from Marquette University, Barbara and her husband, Eric, had saved enough for a tent, two sleeping bags, and a weekend in Boulder Junction, the town he loved since he was a small boy vacationing with his parents and grandparents. Barbara discovered she hated almost everything about camping except spending time in the Northwoods. Vacations got longer and more civilized until the Johnsons moved here in 2007. She considers this the best camping trip ever. 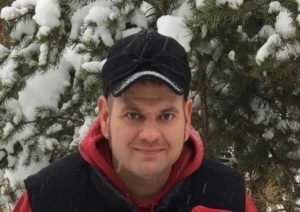 In 2010, Eric became the Editor-Publisher of FYI Northwoods News. They have a daughter, Evelyn, now in college, and a son, Andrew, a student at Lakeland Union High School. 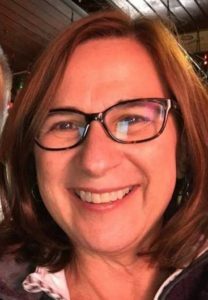 Besides chocolate, coffee, electricity, and running water, Barbara enjoys reading, writing, road trips, Cleveland Indians’ baseball, family dinners, card games, the company of friends and the opportunity to make new ones. Barbara recently completed two terms on the North Lakeland School Board. By serving on the Foundation, she hopes to help the Boulder Junction community develop resources to enhance life for visitors and residents of all ages. Mary and her husband, Greg have been coming to the Boulder Junction area since the 70’s. In 2011 they retired, bought the family home and became permanent residents. Professionally, Mary was an international gymnastic judge & clinician for 16 years and served on their National Board of Directors 12 years. A teacher by degree and always active in the school systems wherever they lived, Mary was a PTA President 5 years in 3 different cities in 2 countries. Volunteering and helping others has always been a passion for Mary! The friendliness of the Boulder Junction community made it easy to join in and make new friends. Mary also serves as the Secretary of the Fundraising Committee and member of the Color Workgroup for the new Community Center & Library. 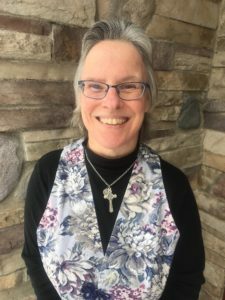 In her free time, you can find Mary in her kayak, sewing studio, skiing, helping at church, outdoors enjoying nature or cooking up something tasty in the kitchen. Their sons, Marc & Matt and families consider Boulder Junction their “second home” and being a Grandma is the best! Michelle and her husband Joe moved to Boulder Junction from the Chicago area in 1988. They both enjoyed vacationing in the northwoods while growing up and quickly realized that this is where they wanted to spend their lives. Michelle and Joe have twin daughters, Stephanie and Riley. They are very busy seniors at LUHS in Minocqua. They are active in volleyball, cross country, basketball, Nordic ski and track. 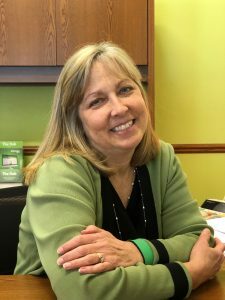 Michelle has been the branch manager at the bank in Boulder Junction since 2004. 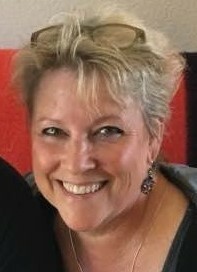 Starting there in 1988, Michelle worked various positions before settling in as manager in beautiful Boulder Junction. She enjoys the friendly “home town” feel at the branch, where everyone knows your name! Michelle has served on the North Lakeland Education Foundation board, as well as the Boulder Junction Chamber of Commerce board. She continues volunteering for both whenever she can, as giving back is a high priority. When not busy with her girls, Michelle enjoys camping, biking and reading. Nicole Wilkin and her better half, Gary Tielens, moved to Boulder Junction two years ago, to enjoy all the beauty and nature that prevails in the wonderful northwoods. Nicole is a Certified Public Accountant, licensed in both California and Florida, and in process of expanding her licensure to include Wisconsin as well. Nicole earned her Bachelor of Science degree from California State University, Northridge, in 1987, with an emphasis in Accounting. Her practice is primarily in taxation, secondarily in business management, and has experience in the area of non-profit organizations (taxation) as well. Nicole looks forward to spending more of her free time getting involved with charitable organizations here in Boulder Junction. When Nicole and Gary are not in Boulder Junction, they spend their time in sunny southwest Florida as well as trips to California where their granddaughter has just turned one year old. Susie is a born and bred local girl who recently retired from a hectic career as Director of Interior Design for one of the country’s premier hospitality design architectural firms and moved home to pursue other “northerly” interests. She is co-owner of The Aqualand Ale House, just on the edge of Boulder Junction, named for the zoo her father and grandfather operated for many years. Pursuing her interest in painting, Susie added Wine and Paint classes to the schedule of Ale House events to provide a place where non-painters and former painters alike could play in a less serious way. Her future plans include expanding beyond wine and paint to add writing workshops, women’s retreats and other art and craft project classes. In addition, she plans to offer free-lance interior design. Susie explains, “The Northwoods quiet is inspirational. When all the other voices are left behind, re-connecting with self through ‘right thinking’ helps us know ourselves, like ourselves a little more, and grow into who we want to be.” She enjoys serving the community. The Boulder Junction Community Foundation seems like the right way to plug into and enhance Boulder Junction, her childhood home. 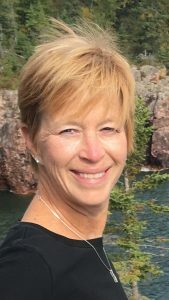 Jennifer and her husband, Joe, returned to the northwoods full-time in 2017 after retiring. She has always lived in Wisconsin, except when she attended St. Olaf College where she obtained her BSN. After graduation, she returned to her hometown of La Crosse. As an RN, she also worked in Madison and Woodruff. Jennifer and Joe previously lived in Boulder Junction from 1988-1996 and their two children, Christopher and Olivia, were born here. They continued to spend as much time as possible at their property on Ballard Lake while living in Merrill. 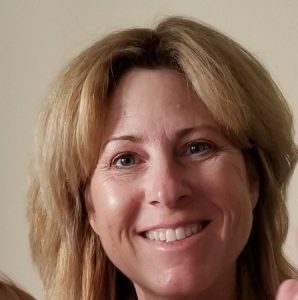 In Merrill, Jennifer was active volunteering for various organizations, serving as president of the PTO, Band Boosters and Merrill Study Class, and was active with the GSHC Foundation, River Bend Trail fundraising committee, food pantry and as a animal rescue/driver for Wild Instincts. Jennifer also was accompanist for the Merrill High School and middle school choirs and head coach of the MHS girls tennis team, as well as a volunteer coach for the MHS Earth Club, youth softball and basketball programs. Jennifer is an outdoor enthusiast and loves hiking, kayaking, gardening, biking and exploring the northwoods. She is excited to serve the Foundation and the community and hopes that her past volunteer experiences will be a positive addition to the Boulder Junction Community Foundation. Chamber of Commerce and as a member of the Lion’s Club. Beth and her husband, Pete, moved to Boulder Junction in 2002 from the Minocqua area because they fell in love with the small town charm of the community, the wonderful people at the Community Church of Boulder Junction, and the excellent reputation of the local elementary school. They love to camp at the beautiful campgrounds in the area, hike, canoe, kayak, bike and cross-country ski. As the Director of Annual Giving and Alumni Engagement at Camp Manito-wish YMCA, Beth leads the Annual Fund Drive which raises $475,000 and nearly 12% of the annual operating budget. The campership (scholarship) program makes Camp Manito-wish possible for any child, regardless of financial circumstances, and that fuels her passion. Beth is honored to serve on the Boulder Junction Community Foundation Board of Directors. Living in Boulder Junction was initially never on the radar for Adam, his wife Jamie, and their three boys – Nathanael, Benjamin, and Micah. However after many years of vacationing at local resorts, they grew incredibly fond of this great little town, and were eventually lucky enough find a cottage to suit their “Up North” desires in the fall of 2015. After six months of spending significantly more time in Boulder on weekends, and a genuine leading in their hearts, they decided to make this great place their new home. After all, this is the “Musky Capital of the World!” Great news! Because fishing, hunting, or nearly anything surrounded by natural beauty, are their favorite hobbies. Adam is passionate about his role in people’s lives as a Welding Instructor at Northcentral Technical College. Seeing the profound effect of pouring yourself into a person, project, or anything with living potential, has helped shape his life goal: “To have a positive impact in someone’s life, every day!” This vision fuels him and his family to give every effort they have to each other, their families, friends, strangers they have yet to meet, and now of course…this wonderful town of Boulder Junction. Its’ Mission Statement proclaims: “The mission of the Boulder Junction Community Foundation Inc. is to preserve and enhance Boulder Junction for present and future generations.” Although they have just moved here, Adam and his family can clearly see how important this town is to everyone they have been privileged to meet. He and his young family are excited and hopeful that the love we all have for this town, will continue to grow…ensuring even greater memories to be made and cherished by all who live or visit. The following individuals are consultants of the Boulder Junction Community Foundation. Click on a name to read their biographies. Thomas J. Basting Sr. Tom is a retired trial lawyer having practiced law in Janesville and then Madison for almost 50 years. 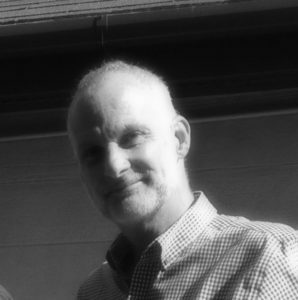 Tom completed his undergraduate work at Marquette University and obtained his law degree from the University of Wisconsin in Madison. He is Past President of the State Bar of Wisconsin; a past president of the Board of Camp Manito-wish. Tom served on the executive committee and Board of Directors of the UW Hospital in Madison and also was President of the Board of The Overture Center for the Arts in Madison. 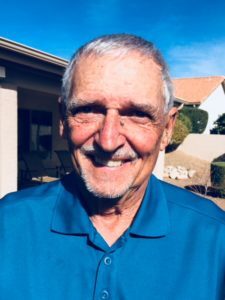 Tom and his wife Sally have had a home on Wool Lake in Boulder Junction for over 20 years and after retirement have become residents of Boulder Junction spending their winters at their home in Saddlebrooke in Tucson Arizona. Mark has been coming to the Boulder Junction area since the early 70’s. In 2004, Mark and his wife Lisa, along with his parents, purchased a vacation home in Boulder Junction. Their daughters Greta and Emma have grown up enjoying this beautiful part of God’s creation just like Mark was able to do. On many summer evenings you will find Mark and Emma musky fishing on Boulder Lake. 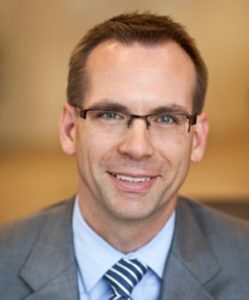 Professionally, Mark has worked for Associated Bank in Green Bay for over 20 years and has 30 years of experience in the investment arena, specializing in the analysis of stocks. Mark is a graduate of the University of Wisconsin – Madison, having earned both a Bachelor’s and Master’s degree in finance. 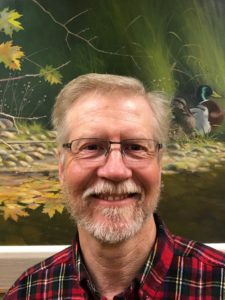 Mark is very active in various leadership and teaching roles at his church in Green Bay and attends Trinity Lutheran Church in Boulder Junction when in town.